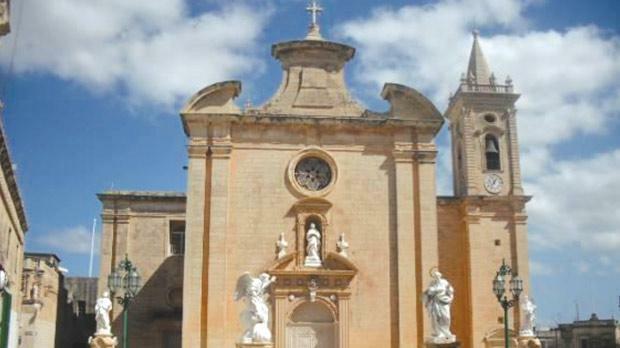 The old church dedicated to the Annunciation in Balzan became a parish on August 14, 1655. In 1669, work commenced on the building of a new church on the same site. These works were completed around 1695 while the bell tower and dome were completed in the early 1700s. The original design of the church is controversially attributed to Francesco Buonamici due to the church’s style and his involvement in a number of other ecclesiastical projects at that time. The church is modest in size and was built to a Latin-cross plan typical of a number of churches in Malta. The main façade is formal, symmetrical and plain with a main entrance portal and a niche with a statue of Our Lady as well as a circular window along the central axis along with a broken segmental pediment. The bell tower on the western transept with its rusticated pilasters and spire serves as a distinctive landmark within the historic village core.